June 19, 2018 By Law Offices of Bryan Musgrave, P.C. Many people who have been involved in accidents with semi-trucks mistakenly believe that filing a lawsuit against the responsible company and recovering damages will be a straightforward process. In actuality, truck accident claims are very complex and technical in nature, and many inexperienced lawyers do not understand how to investigate a truck accident fully. If you have been injured in an accident that was caused by the negligent actions of a commercial driver, it is important that you get legal help from a knowledgeable attorney. At the Law Offices of Bryan Musgrave, we know how to investigate a truck accident properly. People who are injured in accidents caused by the drivers of tractor-trailers may not understand how to investigate a truck accident correctly. Unfortunately, many lawyers also do not understand the complexities that are involved in these cases. There is a right way and a wrong way to conduct a truck accident investigation. In truck accident cases, the defendants often have substantial resources available to them, so they are able to absorb ongoing litigation costs. Juries are also more skeptical today of personal injury claims than they used to be. To increase the chances of your claim succeeding, it is important that the investigation of your accident is thorough. To hold defendants liable in truck accident claims, you must be able to show why and how your accident occurred. It is not possible to rely on a sole piece of evidence in order to win your case against the trucking company. An experienced lawyer will conduct an investigation to learn about the trucking company’s training procedures, safety policies, and other issues that may have contributed to your accident. It is important that you select the right lawyer for the job, someone whose skills and expertise will guide you to success. 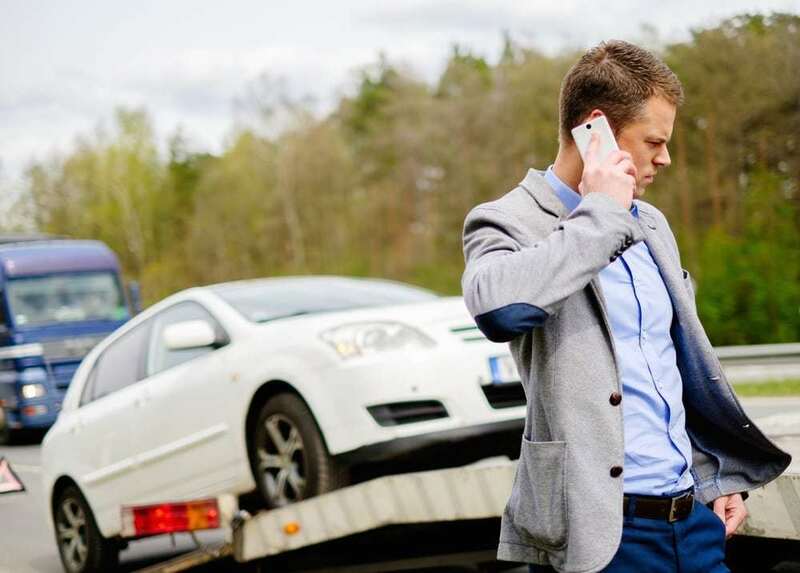 Your attorney will identify and preserve all of the different pieces of evidence that show what occurred in the moments that led up to your accident as well as in the employer’s and driver’s recent histories. It is important for you to demonstrate that both the driver made a mistake and that there is a culture of negligence within the company. The key factors in building a strong case are gathering and preserving the evidence. Having an attorney who understands the types of evidence that may be important and how to gather and preserve them might make the difference in the ultimate success of your claim. Truck accidents may involve hundreds of thousands of dollars in damages because of the extent of the injuries. Trucking companies carry insurance with high policy limits, and the insurance companies and trucking companies often fight accident claims against them aggressively. As soon as they are notified about a trucking accident, it is common for insurance and trucking companies to send investigators to the accident scene. It is equally important for your legal team to investigate the scene. Your lawyer may send investigators to talk to witnesses, videotape the scene, photograph it, and gather other evidence. Your attorney may also work with an experienced accident reconstruction expert to take measurements so that what happened in the moments leading up to the accident can be understood by the jury. This is important because it can help your attorney show clear evidence of the truck driver’s liability. A police report is not enough to prove that the truck driver was at fault, even if the report indicates that the other driver caused the accident. Police reports are inadmissible at trial. Unless the police officer testifies and is qualified as an expert at trial, what he or she wrote in the report will be treated as an opinion by a non-expert, not a fact. This makes it very important to have an expert qualified by the court testify about the causes of the accident rather than relying on a police officer and his or her report. Immediately after an accident, it is important for you to first seek medical attention. After you have gotten medical treatment, you should hire a reputable attorney as soon as possible. This is important to prevent the spoliation of evidence. There are many types of evidence that trucking companies might try to destroy if they think that a lawsuit may be filed. An attorney can send a spoliation letter telling the company to preserve all of the evidence so that it is not lost or destroyed. A good truck accident lawyer understands the value of electronic evidence and will work to gather and preserve it. Semi-trucks have electronic control modules that work similarly to black boxes. These modules track the information about the engine’s performance, including RPMs, whether brakes are applied, and the truck’s speed. This data may be lost if an attorney does not act quickly. It is vital for this information to be gathered, and an attorney may get a subpoena and an order from the court to compel the defendant to turn over this data. In addition, trucking companies now must have electronic logging devices (ELDs) installed in the trucks in their fleets. These devices replaced the logbooks that drivers once used to record their hours, so it is important to secure the information from the ELD device of the truck that caused your accident. Using this information, your attorney can check whether the driver has complied with the hours of service rules or was driving in violation of them. Some drivers are exempt from the ELD mandate, however. For those drivers, it is important to secure copies of the logbooks from the truck. In addition, it is also important to get copies of the truck’s maintenance and repair records and the inspection records. If you have been seriously injured in an accident that was caused by a large truck, it is vital for you to take immediate action to gather and preserve all of the evidence. The experienced attorneys at the Law Offices of Bryan Musgrave understand how to investigate a truck accident correctly and will act quickly for you. For a free case review, call us at 417-322-2222 today or contact us online.